If you’re like me, you often look for ways to use up less paper. You print on both sides of the paper, reuse the back of used paper, and make sure to put used paper products in the recycling bin. An All-Natural Cleaner That Really Works? Yes, Please! How do you keep your oven door clean and clear? This problem has plagued me since I made oven baked fried chicken in a cast-iron skillet. And because I don’t use chemical-laden products, my options have been limited. Vinegar and baking soda are great for cleaning almost anything. But greasy oven doors with baked-in gunk? Not so good. So for the longest time, I put up with an oven door so dirty, I couldn’t clearly see what I was baking. That is, until I discovered Universal Stone Cleaner. I used to get allergic rhinitis several times a year. And it always involved appointments with a specialist, ear and sinus infections, and, finally, having to take antibiotics. Several times a year. Until I discovered nasal irrigation. Nasal irrigation is, quite simply, the cleansing of our nasal passages with warm salt water. It flushes away irritants and excess mucus, soothes the mucus membranes, and reduces inflammation. Since I learned how to do nasal irrigation, I’ve been able to shorten the duration of colds, head off sinusitis infections, and avoid antibiotics altogether. 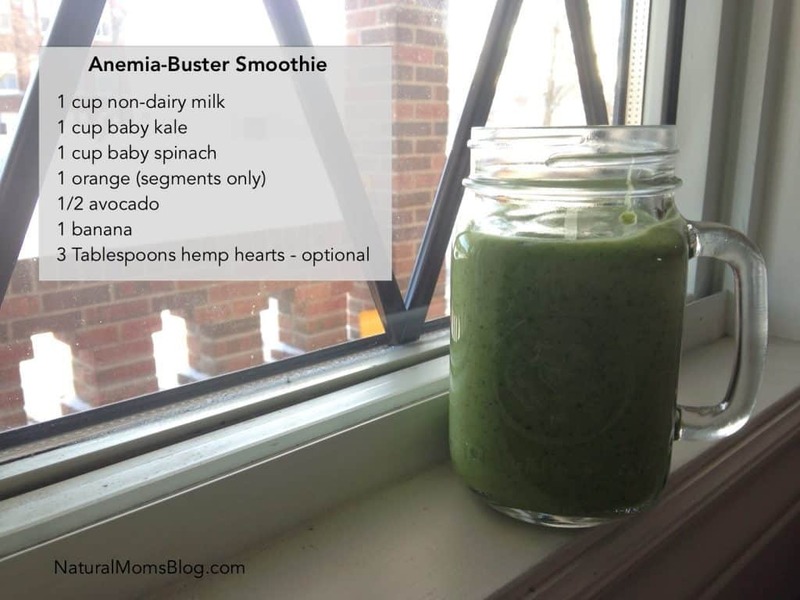 Have you ever tried to incorporate green smoothies into your daily diet, but failed? I bought a Ninja Master Prep (QB900B) and books with green smoothie recipes. I even paid for a green smoothie recipe app. But after trying a few green smoothies, I could not make a habit of drinking them. Guiltily, I kept my mouth shut when hubby put the blender away in the pantry. It had been gathering dust on the kitchen counter. I could not protest. But recently, I joined the 30-day Green Smoothie Challenge and learned something that has changed the way I do green smoothies profoundly. From Jada and Jenni, the creators of the challenge, I learned a formula for making a green smoothie with whatever greens and fruits I had on hand. It’s not really a recipe, but it’s more of a template. I realized the reason I couldn’t keep making green smoothies before was because I would run out of this or that ingredient — and therefore not be able to follow the recipe anymore. Then, by the time I did get a particular ingredient, the others would have gone bad in the fridge. But not so with this formula. As long as you have a steady supply of green vegetables and fruits, you always have what you need to make a green smoothie. 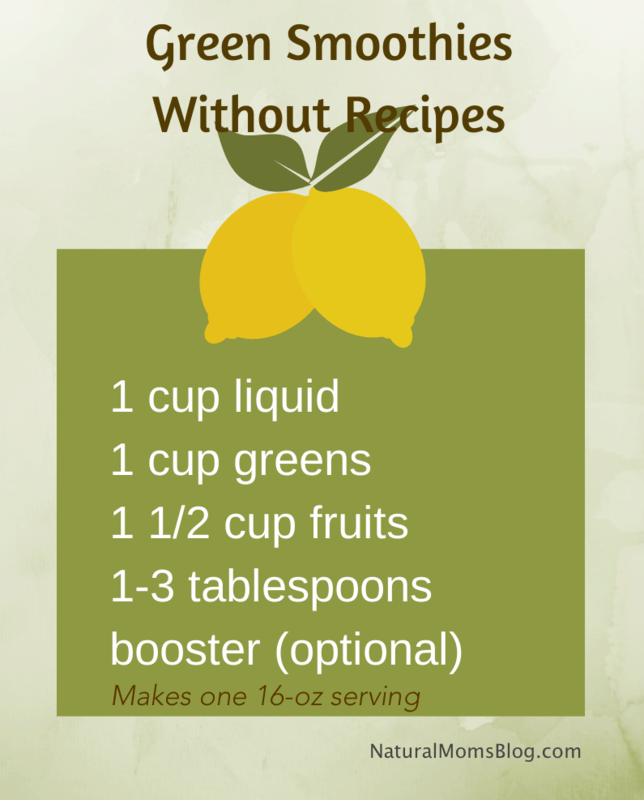 1 cup liquid – You need some sort of liquid to make the greens easier to blend. If you don’t have anything else, use plain water. My favorite liquids are coconut water (so sweet and nutritious) and coconut milk beverage (unsweetened). Of course, you can also use whatever non-dairy milk you have on hand. You may need to use more than 1 cup of liquid, depending on the consistency you’re aiming for, but 1 cup is good to begin with. 1 1/2 cup fruits – As you can see, a green smoothie has more fruit than veggie. The fruits mask the taste of the vegetables, which makes the green smoothie a lot more palatable. This is why even my kids drink them! Certain fruits, such as bananas, apples, and pears, also give the smoothie a pleasant, creamy texture. Of course, when you get more accustomed to the veggies, you can reverse this formula and start adding more and more green vegetables vs fruits (more on that below). Optional boosters – These are add-ins you may want use to boost the nutritional value of your green smoothie. For example, I began the Green Smoothie Challenge in earnest, because I had been diagnosed with iron deficiency anemia. Having discovered that 3 tablespoons of hemp hearts contain 30% of the RDA for iron, I started adding it to my smoothies. Other boosters include flax seeds, chia seeds, protein powders, acai powder, etc. Note that adding these optional ingredients could increase the amount of liquid you need for your smoothie. Now that you have this green smoothie master recipe, I’m pretty sure you could easily create a green smoothie any time. This smoothie turned out to be very creamy and very smooth. It certainly didn’t taste like a vegetable drink. This is what I call “Anemia-Buster Smoothie,” because it has more than 50% the RDA for iron (based on my own estimates). Baby kale and baby spinach are both rich in iron, and the vitamin C in the orange enhances the absorption of iron. I thought the amount of liquid in the orange would let me use less than 1 cup of coconut milk beverage. But then again, the avocado made the drink too thick, so I still ended up using about a cup of liquid. First, I pour the liquid. Then I drop in my booster, which is usually hemp hearts. This lets them soften in the liquid so they get ground into smaller pieces better. Then I add the greens, pushing them in with a spatula. Finally, I add the fruits, sliced into about 1/2- to 1-inch pieces. I close the lid of my blender, and pulse a few times until all the ingredients have settled on the bottom of the jar and have been chopped into smaller pieces. Then I pulse in longer spurts (I can only keep the Ninja running for a maximum of 15 seconds at most, at a time). One or twice, I open the lid and scrape the sides of the blender jar, then pulse some more. Sometimes, I taste a small amount of the smoothie and add a bit more liquid if it’s too thick. After one or two more pulses, it’s ready! By the way, according to Health Canada, one serving of fruit or vegetable is equivalent to 1 cup. Therefore, one serving of this Green Smoothie Master Recipe contains 2 servings of vegetable and 3 servings of fruit. Isn’t that an easy way to get more fruits and veggies into your diet? As I mentioned above, I started drinking green smoothies daily so I can get my iron levels up to normal — and at the same time overcome the tendency of iron pills to cause constipation. So far, I’ve been successful in the latter. I’ll have to wait a few weeks to find out if my iron levels have gone up. An unexpected benefit of all these green smoothies is that I’ve been eating a lot less chocolate and non-nutritious foods. This is because 16 oz of green smoothie is very filling. In fact, I have to drink it in place of a meal. It makes me so satiated that I have not been looking for my usual chocolaty after-lunch treat. Well, that certainly was NOT part of the plan! But if it means getting healthier without feeling deprived, well, then I’m all for it. Do You Drink Green Smoothies? 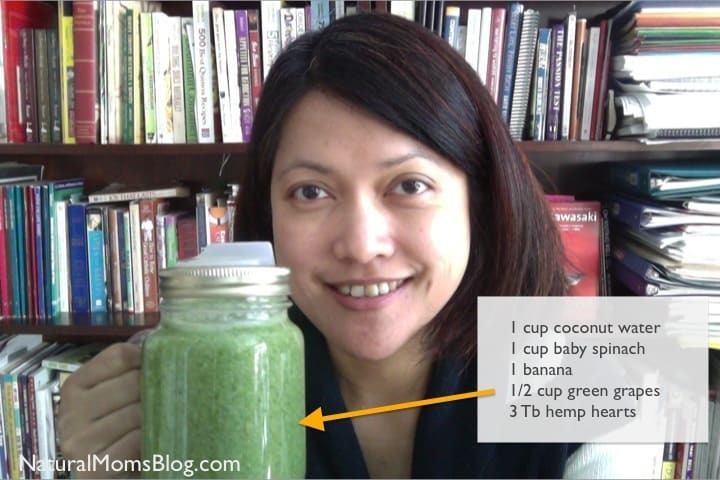 How about you, do you drink green smoothies regularly? If so, what recipes do you rely on? Do you use a similar master recipe? What are your favourite ingredients? What benefits have you experienced so far? Do share your experiences, tips, and advice in the comments below. Below is a post from Marks & Spencer, one of my favorite stores. I’d like to add that, aside from zippers, you’ll want to beware of long ties and ribbons on baby’s clothes, because these pose a strangulation hazard. When it comes to dressing your baby with the latest fashion trends, there’s no pressure of disappointing your babies. There’s no real reason to go for anything expensive as long as safety is prioritized. Whatever you decide to put on your little angel, as long as it keeps them warm on a cold winter night or cool during summer, then you are good to go.